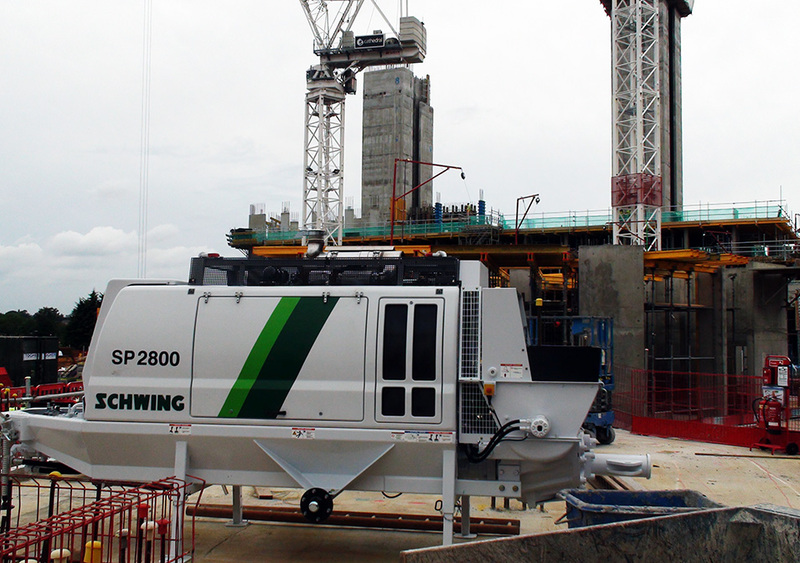 Leading concrete frame specialists MPB Structures have just taken delivery of four new Schwing Concrete Pumps. MPB have been in the industry since 1987 but have only recently been a Schwing Stetter client, having previously sourced their concrete pumps elsewhere. Having purchased a Schwing S36X late in 2014 and received it in early January 2015, they were so happy with the equipment and level of service from Schwing Stetter (UK) Ltd, that they placed further orders for a Schwing SP1800D tier 4i, 2 more S36X’s and an SP2800D. All have now been delivered. Everyone here works very hard to ensure our customers get the best possible service and equipment and it is very fulfilling when this is recognised by our customers through further orders.We are extremely happy to be working with MPB who have invested in a broad range of Schwing Stetter technology and we hope this is the beginning of a long lasting partnership.